NTN SNR EUROPE is characterised by its objectives for performance, proximity, team spirit, respect and professionalism. These values are present in the Group's everyday operations, its effectiveness and its identity, with regards to its customers, suppliers and teams throughout the world. Customer satisfaction is the key to success. It requires continuous commitment with regards to reaching performance objectives and offering bold, innovative actions while meeting difficulties and risks head-on. Our global presence and permanent support from our local teams mean solid, sustainable professional relations with our customers, suppliers and colleagues. Another of the company's core keys to success is through our teams succeeding in their common goals. Their solidarity makes it possible to resolve issues and reach our objectives thanks to the union of our teams' shared skills. Each and everyone's respect for commitment and compliance with the given regulations allows us to move forward, together. Every employee values, represents and defends the company, thus protecting its technology, its heritage and, most importantly, its people. Our varied competences and business lines are the founding richness of our company. Proximity, support and availability are all in our DNA. Customer commitments: being there for our customers, however and whenever they need us. Technical expertise, quality, assistance and personalised services are all integral parts of NTN-SNR EUROPE's offer, and contributes to our customers' satisfaction. We pursue research and innovation programmes, taking our customers' needs and current global progress into account. Our commitments cover our entire value chain, including our suppliers. NTN SNR EUROPE readily commits to protecting the men and women who make the company what it is today. Our philosophy aims to provide good health and working conditions, through strict compliance with regulations, effective and tailored processes considering ergonomics and safety, and much more. The Group's approach to development encourages creativity and initiative through teamwork and personal advancement. Capitalising on technological breakthroughs and the sharing of a common vision, NTN SNR EUROPE's facilities develop products and solutions that respect the environment. Our environmental policy and, more widely speaking, our CSR policy both bear witness to the strength of this commitment. All of NTN SNR EUROPE's entities boast a unanimously renowned and certified quality policy (ISO 9001, 16949, 50001, QS9000, IRIS, etc.). From design to customer services, we do everything in our power to guarantee the quality and improvement of our processes and products. 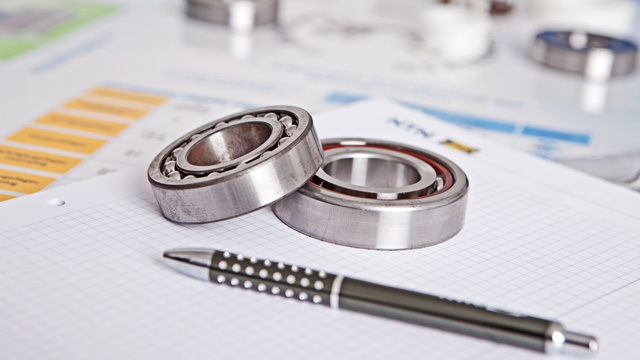 NTN-SNR was the first bearing manufacturer in the world to be certified ISO 9001.